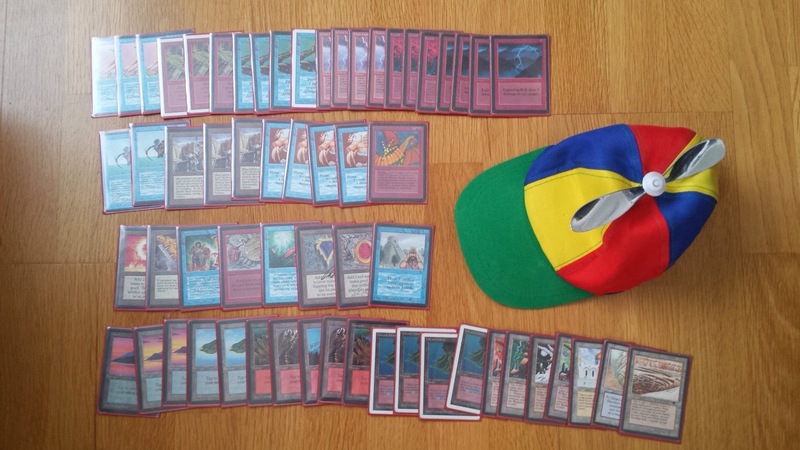 Many of the decklists from Worlds 94 have been lost. It was a single elimination tournament, rather than having separate elimination rounds after a swiss. Due to this structure, extra focus on a top8 was not really relevant. Also, as the saying goes, Wizards wasn't overly keen on showing the winning decklists in the Duellist or similar, lest other players would try to copy them rather than building their own decks. Time changes. We have a pretty solid idea of the lists from the top4 though; those of Zak Dolan, Bertrand Lestree, Dominic Symens, and Cyrille de Foucaud. All these players played blue and green; and everyone except Dolan also played red and black. Dolan was the only one playing white. The reason I though about this was because every deck in the n00bcon top8 also played blue. Maybe unsurprising. I still think that it is not as utterly dominant as it was a year ago, after all we had a monored Gauntlet of Might deck at 9th place and WW won last BSK. Anyway, lets look at the last four sweet decks from the n00bcon top8. Stalin has been playing this game for a long time. 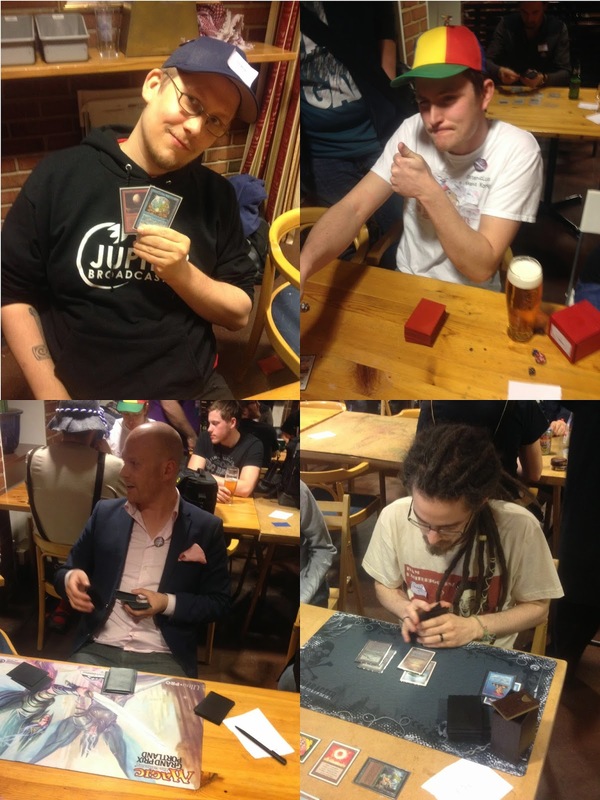 He is a mainly a player of eternal formats, in particular Vintage, and has been active in the 93/94 community for about six years. He is the former national champion in Vintage, and I do believe Stalin currently leads the Vintage ranking in Gothenburg (he may be second to Mikael Linden). For most of the larger tournaments in 93/94, he has been acting as a judge or TO. Among the things he have contributed to the format is the concept of pimpwalker points and creating this blog. He played a few tournaments in the 12/13 season though (WG eternal weekend, n00bcon Warmup, Gråberget Champs), and got the 8th seed at Pimpvitational when Robert Schram cancelled on short notice. He repeated this feat for n00bcon, where he turned his 9th place into the top8 after Kalle Nord dropped out before the elimination rounds (Kalle was ranked 6th in the swiss). Stalin's deck is a great meta choice, built to beat control. The Electric Eel aggro is a fairly reasonably priced deck, as you can mostly play it pretty well without power. It uses cheap beatdown creatures and burn combined with denial in the form of Energy Flux and Blood Moons. Power Sink rather than Mana Drain here. Robin's deck is fairly similar to Stalin's; a very aggressive UR burn deck. Robin's deck is slighly (misspelling intended) higher on the curve though, skipping the one-drops like Electric Eel and Flying Men, and instead going big with cards like Juggernaut and Shivan Dragon. And the full 12 bolts/blasts. No info about the sideboard atm. I'm sure I'll be missing something relevant here, but I know that Mikael "Nesid" Magnusson has a pretty solid list of accomplishments. In the more recent era, he came second in the 2000+ player Gatecrash team limited GP, and he was the Vintage champion at GP London 2013. More historically, he finished 34th (between Mark Justice and Tom Chanpheng) at Pro Tour Dallas 1996. 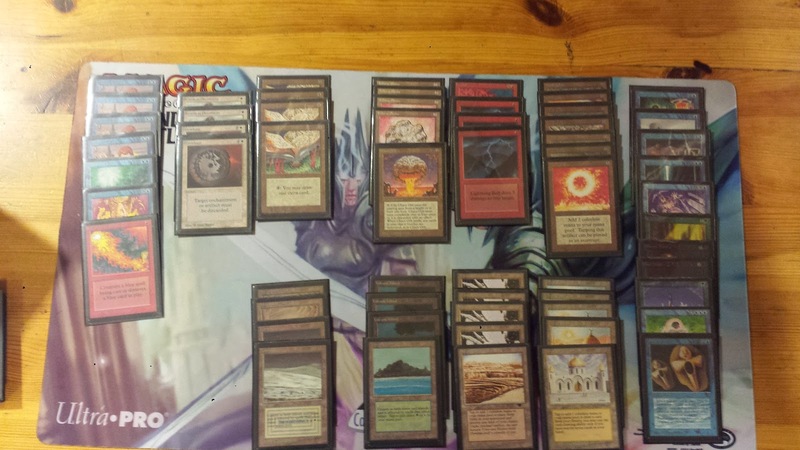 This was his second n00bcon top4, and again he played a very solid version of The Deck (a picture of his old top4 deck from n00bcon 4 can btw be seen at the mothership here). Yep, this is a pretty expensive deck. Nesid's sideboard. I really like the Fissure and Ice Storm against control. I just love this deck. Vesuvan Doppelganger? Check. Prodigal Sorcerer? Double check. Oubliette? Triple check. This deck also only plays a single power card (a Mox Sapphire), and is all-in-all, fairly affordable in its current state. Terror in the sideboard and maindeck Oubliette. Tech. On average, the t8-decks contains 5.875 power cards each. The most played card after "actual lands" is Mishra's Factory, with 24 copies. The single most popular card is Sol Ring (8/8). 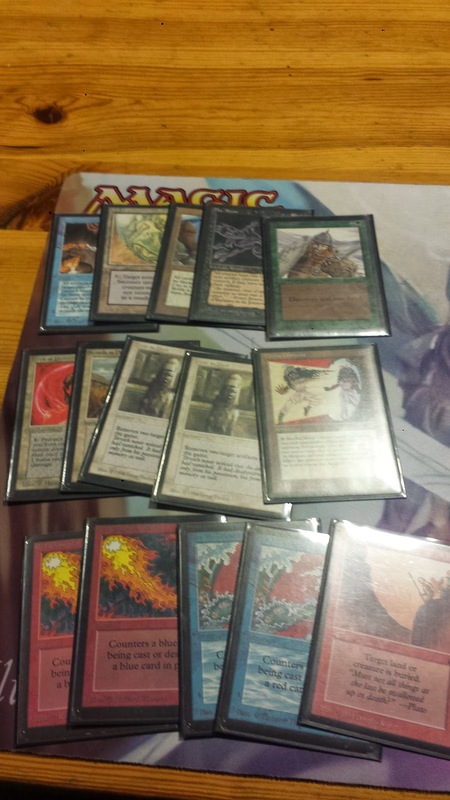 Lightning Bolt and Strip Mine are also played in 6/8 decks. Both players who didn't used Strip Mine also mentioned that it would have been correct to play the card; one of them accidentally forgot it and the other one didn't own the card. The discussion on potential updates to the ban/restriction list for the next season has started btw. The meta doesn't really look unhealthy right now, but it might be interesting to do some changes to stir it up a bit nonetheless. Feel free to give any feedback or suggestions. 6 of 8 decks playing Lightning Bolts. Good card! Great job as always, Magnus. Jag spelade faktiskt utan Strip Mine också :) Hittade aldrig någon. Haha, that's true :) I guess I just assumed that it was hidden somewhere around your other lands.